Dr. John Gottman can predict relationship failure with over 90% accuracy by just observing couple interactions! 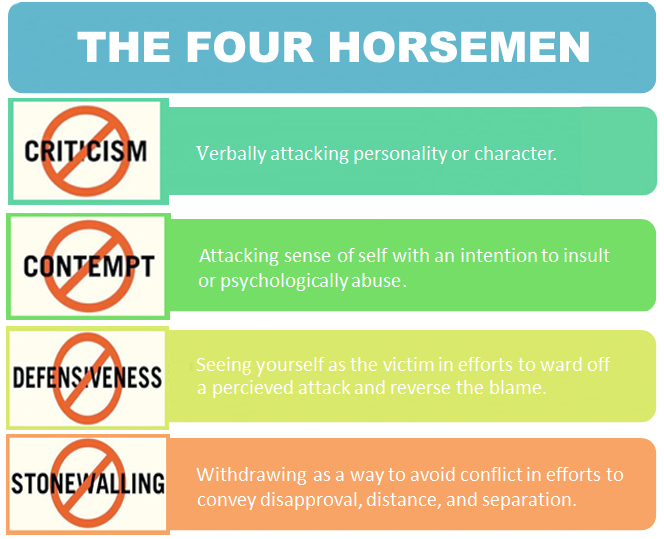 He looks for four critical factors which he calls the Four Horseman of the Apocalypse. 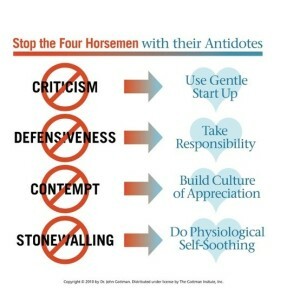 These four horseman are: Criticism, Defensiveness, Contempt and Stonwalling. 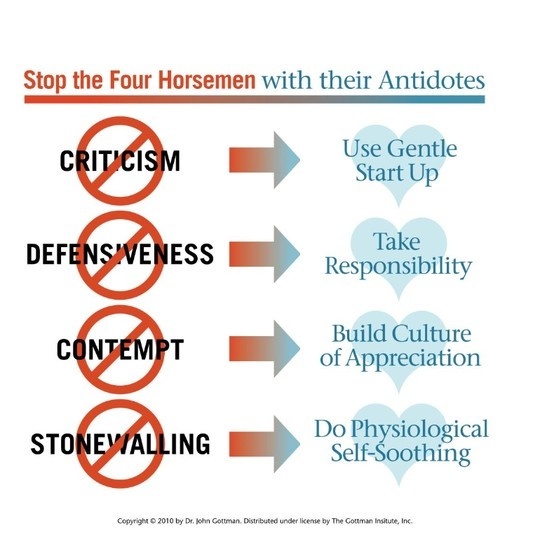 Below are the antidotes to each.